A natural wonder that typically enjoys great favor with humans is the monarch butterfly. An “ambassador” insect, or one that represents a genre such as pollinators, these striking beauties make headlines across North America. Ask any second grader, and she will tell you about the struggles of this tenacious insect that depends on one plant, milkweed, for survival. As wild milkweed decreases, national organizations and neighborhood nature centers encourage people to plant milkweed varieties to support monarchs and other pollinators. With their widespread popularity, there’s no surprise in seeing the delight in children observing monarch caterpillars being raised at Hidden Oaks Nature Center in Annandale, Va. Unlike past years, these are not the first monarchs reared at Hidden Oaks in 2017. Naturalists were surprised to have three monarch caterpillars donated to the center in late April. Monarchs usually do not arrive in the Washington area before July. Journey North, an online science education project, records the first spotting of monarch eggs throughout the country. Normally, the D.C. area spots monarch eggs on milkweed after June 20. Recently the date has been creeping earlier on the calendar, with this year’s mid-April sighting the earliest on record. That poses the question of why monarchs are turning away from their historic path of repopulating the Gulf States and the Midwest in favor of heading our way. Whereas bountiful fields of welcoming milkweed and nectar plants would be an ideal reason, we cannot boast of such bounty. The area experienced a warm spring, which could have confused the wandering monarchs. Possibly a few monarchs zigged when they should have zagged, and they ended up in the mid-Atlantic region. Likely the stress of not finding enough milkweed in their normal climes made the pregnant monarchs push further on until they found milkweed just a couple of inches high anywhere. Monarch caterpillars need approximately 18 inches of plant to develop from egg to chrysalis. Monarchs only eat milkweed, and their eggs can only be laid on milkweed. The mom butterfly tastes plants with the tarsi, or hairs, on her feet, to assure her eggs are on the correct plant. Laying eggs on recently emerged milkweed, rather than mature milkweed, is a sign of stress. Usually the monarchs winging their way through the D.C. area are the last of four generations produced over a calendar year. The last generation is physiologically different from the previous three. This last generation does not typically have the benefit of fresh milkweed and is generally in a nonproductive mode until after their “diapause,” or overwintering, in Mexico. The previous three generations, which can mate within a week of emerging from their chrysalides, have a life span of about six weeks. The fourth generation, which can live six to eight months, mates after spending months resting – with millions of other monarchs – in the Transvolcanic Mountain range about 60 miles northwest of Mexico City. The monarchs raised at Hidden Oaks in April reached adulthood but failed to mate in captivity, so they were set free. Tagging is only done with the final generation of the year, so those monarchs flew off with no identifying features. Hidden Oaks’ current batch of monarchs will be tagged and released over the next few weeks during monarch tagging programs. This year, the monarch caterpillars at Hidden Oaks are sharing the spotlight with spicebush and black swallowtail butterfly caterpillars, who are busily crunching their own favorite leaves, spicebush and parsley, respectively. Monarchs and other butterfly species amaze us with their seemingly magical transformations and their grace of flight. Visit Hidden Oaks to pick up a free packet of native swamp milkweed seeds to attract these and other pollinators to your backyard or school. Share the joy of wonder with your family and friends by getting first-hand experience with the variety of native butterflies, and marvel at the mysteries of monarchs that scientists have yet to completely unravel. Author Suzanne Holland is the Assistant Manager at Hidden Oaks Nature Center in Annandale, Va. This entry was posted in Uncategorized on August 30, 2017 by Fairfax County Park Authority. This is among the many reasons that great parks lead to great communities. It is also among the trends and research the Fairfax County Park Authority is considering as we create our first ever Parks and Recreation System Master Plan. This comprehensive park system master planning effort builds on the findings from the Parks Count! Needs Assessment that was completed in spring 2016. With a 10-year time horizon, the Great Parks, Great Communities Parks and Recreation System Master Plan will guide the agency to meet growing and changing community needs. Looking to the future, the Fairfax County Park Authority wants to do more to improve access and opportunities for healthy and active lifestyles. Check out the Great Parks, Great Communities Parks and Recreation System Master Plan website and draft master plan and supporting appendix to learn more and tell us what you think! The draft master plan is available now through September 22, 2017 for public review and comment. Submit your comments via Parkmail@fairfaxcounty.gov , on the project website, or at the public input meeting on Tuesday, September 12, 2017 from 7 to 9 p.m. at Green Spring Gardens in the Multi-Purpose Room. Green Spring Gardens is located at 4603 Green Spring Road in Alexandria, Virginia. We welcome your thoughts and questions on the draft plan. For more information about this initiative contact Samantha Hudson, senior planner at samantha.hudson@fairfaxcounty.gov or 703-324-8726. Parks and open space networks conserve natural resources and wildlife habitat, protect air and water quality, and preserve open space for current and future generations. Protected green spaces are essential to preserve scenic vistas, maintain healthy ecosystems, and provide carbon‐reducing sustainable landscapes. Through stewardship programs, parks can engage the public in conservation efforts and increase awareness of environmental sustainability needs. This is among the many reasons that great parks lead to great communities. It is also among the trends and research the Fairfax County Park Authority is considering as we create our inaugural Parks and Recreation System Master Plan. This comprehensive park system master planning effort builds on the findings from the Parks Count! Needs Assessment that was completed in spring 2016. With a decade-long horizon, the Great Parks, Great Communities Parks and Recreation System Master Plan will guide the agency to meet growing and changing community needs. 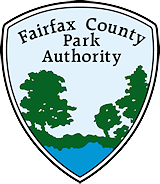 Looking to the future, the Fairfax County Park Authority wants to do more to improve and promote natural resource protection and management. Check out the Great Parks, Great Communities Parks and Recreation System Master Plan website and draft master plan and supporting appendix to learn more and tell us what you think! The draft master plan is available now through September 15, 2017 for public review and comment. Submit your comments via Parkmail@fairfaxcounty.gov , on the project website, or at one of the open house sessions slated for September. More details on dates, times and locations to come. For more information about this initiative contact Samantha Hudson, senior planner at samantha.hudson@fairfaxcounty.gov or 703-324-8726. This entry was posted in Uncategorized on August 7, 2017 by Fairfax County Park Authority.